The artwork conveys a forward looking message with the “85” arrow as the core element of the design. It’s a very catchy visual peg that conveys history (number of years) but at the same time delivers a subconscious message of 85 years and beyond…that AIG is here to stay, move, & strive forward as a company. The “85” arrow implies that AIG Philippines is a company that is always innovating to deal with today’s risks as well as of the future. 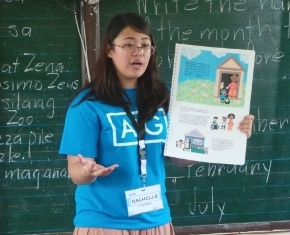 AIG Philippines empowers businesses to move forward, reducing their fear of the future. We are an enabler for economic progress because it makes risks associated with progress manageable. These landmarks speak of the history, industrial progress and positive economic outlook of the Philippines. At the heart of these developments is the globally respected institution, AIG. And as this logo communicates, it will continue to be instrumental in building the nation as it moves forward. The term resiliency fits well to the Philippine setting and is aligned to our local key messages. 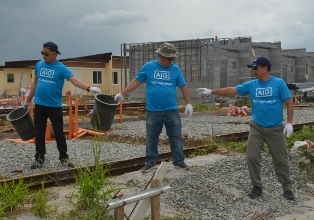 The Philippines is amongst the world’s most disaster prone countries, thus AIG in the Philippines wants to be involved and promote advocacies related to: disaster relief, disaster preparedness, business resiliency, and business continuity. This fits well to AIG PH’s CSR strategic themes/messages regarding resiliency and community. 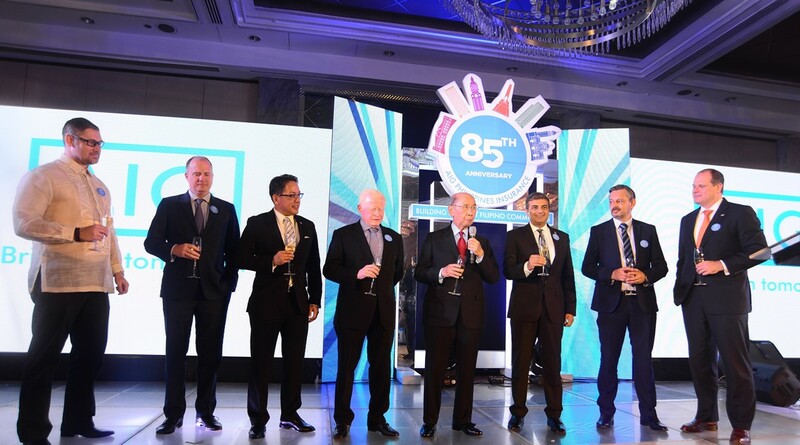 May 3, 2017 marked the 85th Anniversary of AIG in the Philippines. This milestone is not only about our history, but a celebration of the larger industry and its importance for building resilience in, and for, the Philippines. 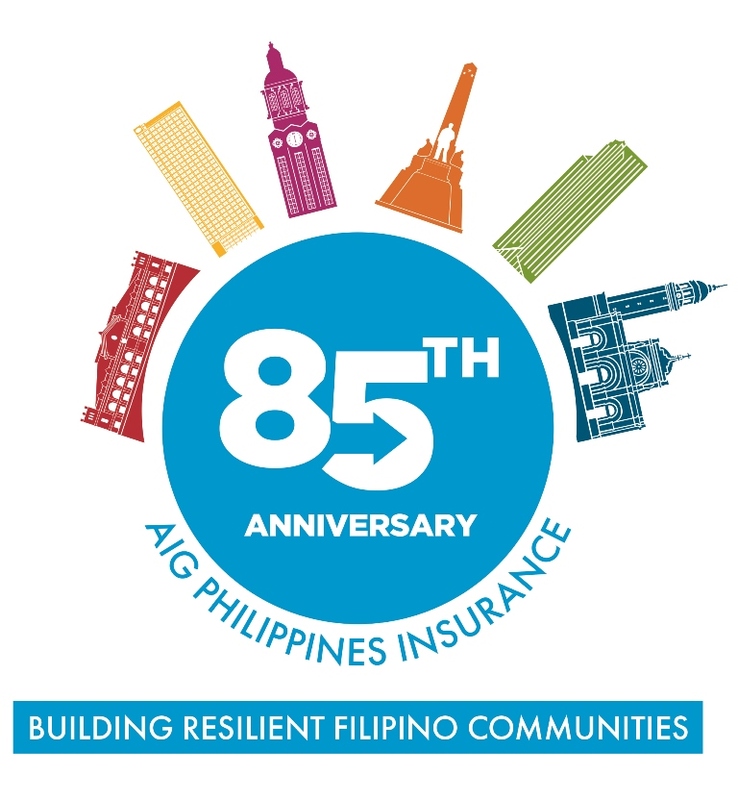 When American International Underwriters, the precursor of AIG Philippines Insurance today, was set up in the Philippines in 1932, our focus then was exclusively on Property and Casualty insurance. AIG’s mission has been to protect individuals and communities from fear of the future, and to provide a foundation for economic growth and prosperity in a world of changing and ever more complex risks. Over the years, we have pursued this mission through a variety of brands, products, and insurance lines, but the core mission has remained the same. Over the years, we have been a proud partner in the Philippines’ story of growth through adversity, and we have endeavored to contribute our part in this story by shielding Filipinos, their companies, and their communities from threats in many forms. In the recent year, AIG has aggressively returned to our roots of 1932 – a relentless and disciplined focus on Commercial insurance, and where AIG’s expertise, capacity, and innovative products are unique. Today, AIG provides our core services and insurance lines to a in a multitude of market segments and industries. But we’re also focused on the commercial business needs of the Philippines’ fastest-growing industries and their unique or customized needs. BPO, Hospitality and Tourism, Financial Institutions, Healthcare, Telecommunications, Energy, and Infrastructure are a few of the keystone Filipino industries that AIG serves with customized and tailored insurance solutions. AIG is different today than we were in the beginning. 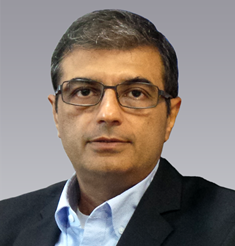 Indeed, we have evolved each decade as needs of industry changed, and as we have challenged ourselves to be an innovator and to take risks, even as we protect others from risk. Only by continually doing so can we lay claim to becoming our clients’ most valued insurer. So, we inaugurate this celebration of the past 85 years, but really we welcome the opportunity to look to the future and envision the next 85 years of AIG in the Philippines. 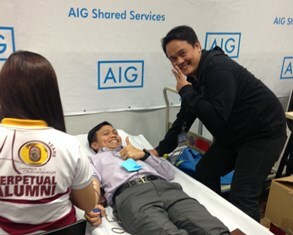 Click the play button to see the highlights of AIG in the Philippines' 85th Anniversary Event. Click 'Play' to watch the highlights of the AIG Philippines Anniversary event. 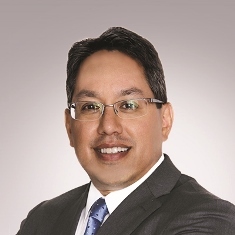 In line with the expansion program of the American Asiatic Underwriters (AAU) in growing territories, the American International Underwriters for the Philippines Inc., a subsidiary company of the AAU, has been formed in Manila to handle the growing interests of the AAU in the Philippine territory. Two decades prior, it has been reported that practically all of the insurance business in the islands were handled by European companies or Commercial houses which established Insurance departments primarily for the purpose of handling their own insurance but which later developed outside insurance as well. 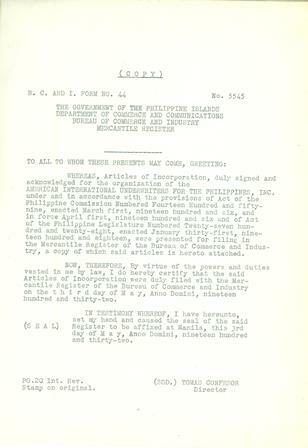 This is a copy of the Articles of Incorporation which was dated May 3rd, 1932. This date serves as the official anniversary date that AIG Philippine employees refer to in the succeeding decades to come. 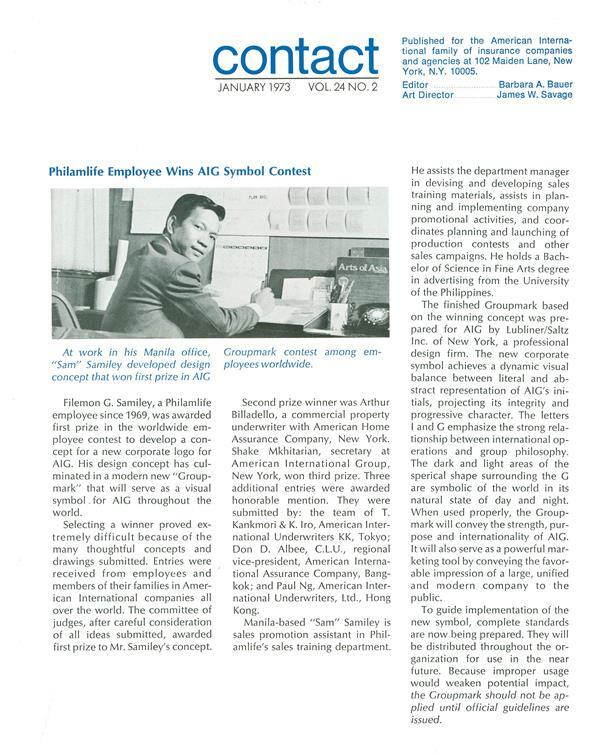 An excerpt from Contact, AIG’s official employee newsletter wherein the founding of the Manila office was first reported. Contact has been chronicling AIG’s history for the last 86 years since its first publication in 1931. Eight decades later, Contact still serves its original purpose: connecting employees across the company and the globe. 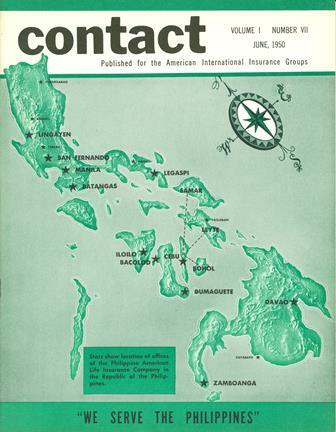 As seen in this photo, the Philippines was prominently featured in the June 1950 edition of the magazine. 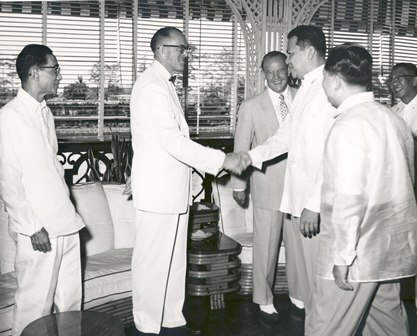 C.V. Starr meets with President Ramon Magsaysay during a breakfast conference at Malacanang Palace in 1954. 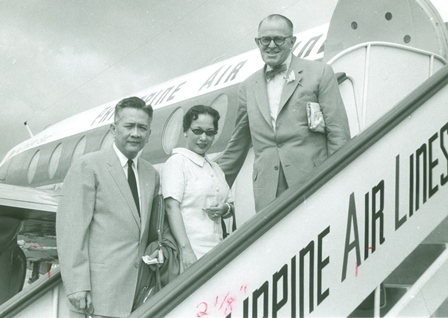 AIG Founder C.V. Starr aboard a Philippine Airlines Flight as AIU Board Chariman Felino Neri and his wife greets him at the tarmac. 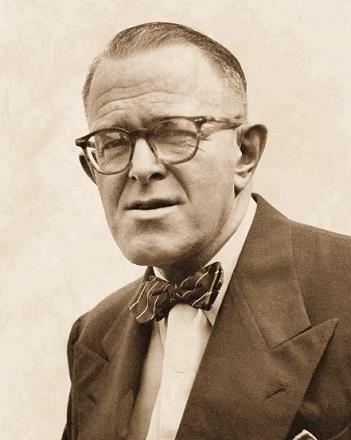 Cornelius Vander Starr established American Asiatic Underwriters (AAU), a general insurance company in Shanghai, China. During his leadership, he said, "We have had a very full measure of hard work, loyalty, and enthusiasm from our people. This spirit, which particularly marks our organization, is more valuable than any asset on our books." Did you know that the first ever AIG Logo was designed by a Filipino employee working at Philamlife? Filemon G. Samiley, was awarded first prize in a companywide contest in the 1970s. 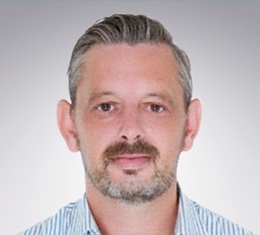 Sam was a Sales Promotion Assistant in Philamlife’s sales training department. He holds a Bachelor of Science in Fine Arts degree in Advertising from the University of the Philippines. The winning concept created by Filemon G. "Sam" Samiley. This corporate symbol achieves a dynamic visual balance literal and abstract representation of AIG's initials, projecting its integrity and progressive character. The letters "I" and "G" emphasize the strong relationship between international operations and group philosophy. The dark and light areas of the spherical shape surrounding the "G" are symbolic of the world in its natural state of day and night. "AIG has built our reputation as true risk experts, and the ability to grow and deepen this expertise as the environment and our business partner needs evolve. This is even more of an imperative today, with technology and disruptive innovation changing the business world at an unprecedented pace. Just as AIG was positioned as a first-mover to bring insight and new insurance solutions to the marketplace in the past, we have continued to invest in the same capability for the future. 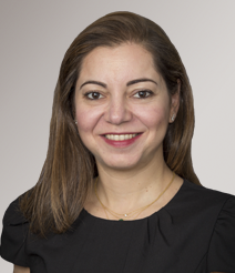 We can't do that unless we understand our clients, the specific business models which they work in, and how global risk trends intersect with their unique needs. This is the power of innovation behind AIG." - Mark Lwin, President and CEO of AIG Philippines Insurance, Inc. and AIG Shared Services – Business Processing, Inc.